Jordan fired shots last week by telling Johnny to “earn his stripes,” a bold statement for a rookie who never won a Challenge. Johnny has competed in more Challenges than any other guy in the house, so he may know a thing or two more than Jordan about this game. Let’s check out 10 defining moments in Banana’s Challenge career where he earned stripes. 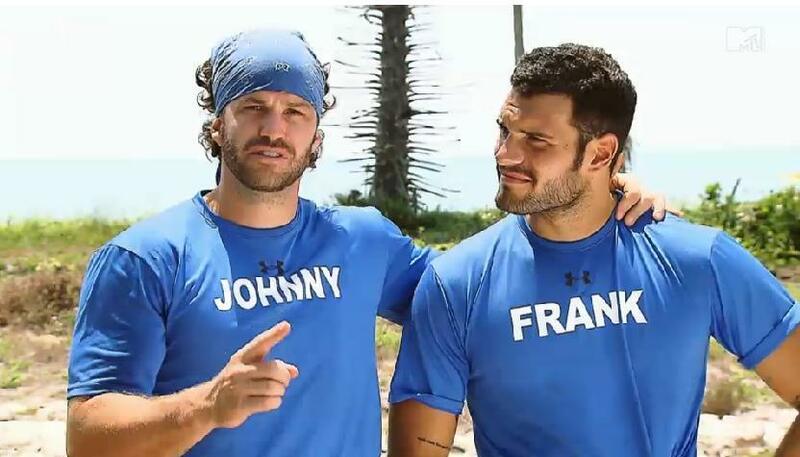 Perhaps this isn’t even one of Johnny’s 10 best Challenge moments, but this is the face-off where Jordan told Johnny to “earn his stripes.” Johnny returned from his battle against Isaac with some mean words and another stripe in his collection. Much like Jordan, Johnny made it to the finals as a rookie. On The Inferno 3 he competed in the final mission with his team, never saw an Inferno, and won more Lifeshields than Alton. A huge improvement from The Duel. If anyone thought Johnny couldn’t handle the “Rookie Revolution” he proved them wrong on Rivals 2. He teamed up with Frank, won a few missions, saw zero Jungles, and ultimately finished in second. Camila has tried to kill Johnny twice, but that never deterred him from keeping the feisty Brazilian as his sidekick. Not only did he mend their relationship, but they have proven that they can continue to work as allies. Veteran Challenger Mark has only seen one elimination, and it was against Mr. Bananas. Defeating Mark is no easy task, but if anyone could do it, it’s Johnny. And win he did! 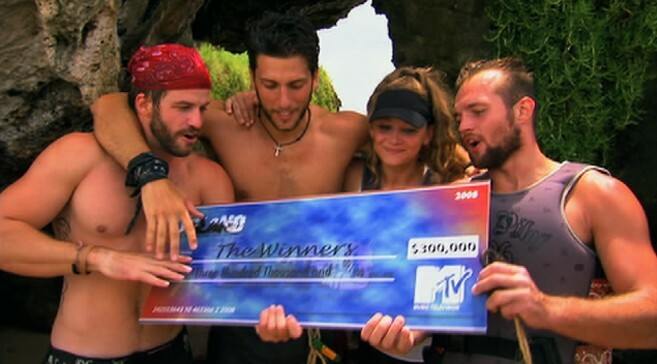 Keeping your position on The Champion team was tricky during The Ruins, but Johnny managed to make it to the final and leave with money. Not only did his win this Challenge, he also eliminated Dunbar from the game… which has to count for something, right? When Johnny can put his feud with Tyler behind him, they’re actually a killer team. This was proven in Patagonia Mountains during the final on Rivals where Johnny and Tyler walked away with the crowns. Part of being a true competitor is being able to put differences aside for the sake of winning. Johnny did that on The Island when he teamed up with Evelyn after fighting all season. This proved to be a beneficial move because he walked away with his first Challenge win. 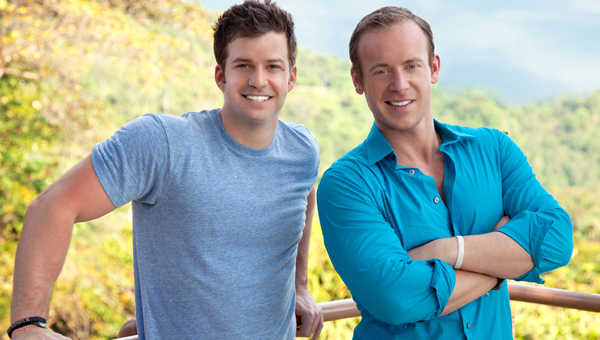 After a season of trying to get rid of CT (and his partner Adam) Johnny found himself face-to-face with him in the final Jungle on Rivals 1. To the surprise of most, Johnny pulled through and eliminated CT, redeeming himself from an embarrassing loss on Cutthroat. This moment truly proved that Johnny’s muscles were the size of his ego. 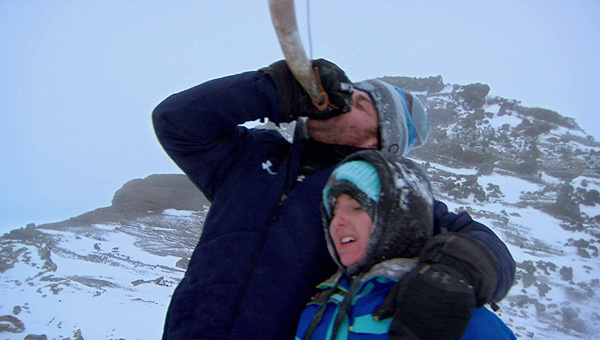 After a season of victory-after-victory, Johnny and Camila were trailing CT and Diem for the majority of the final race. In the last moments of the race CT gassed out and Johnny didn’t, allowing him to pull ahead and claim a victory. Well the elimination ones where he beat Mark, CT, and Adam are iffy because people have stated that Mark and Adam threw the elimination round. No way. Those involved, including Bananas himself claims that the Rivals Final challenge was the hardest challenge ever. In an interview with Brian Cohen on youtube (the bus driver’s route, which is a great series by the way), he stated that his proudest moment in his challenge career was winning Rivals. I can’t believe that The Island, a challenge that was literally all political, is ahead of Rivals. 7-10 is spot on I’d say. Johnny has competed well in challenges physically and politically even if he is often the least likable. I was particularly impressed by his endurance and drive in the Battle of the Exes final challenge. I was floored and heartbroken for CT and Adam when they lost to Johnny. Honestly though, I don’t think it redeems his loss to CT on Cutthroat. That was epic. I’m curious about why folks think that Adam and Mark threw eliminations? I remember that Adam picked up the wrong ball at one point and then struggled to climb the ramp in the end but it seemed like an honest effort to me. And I don’t remember anything about the elimination with Mark seeming disingenuous? It was stated by a few cast member that Adam threw the elimination and that he made a deal with Kenny, Wes, and Johnny if he threw it. If Adam really did it he is a idiot because they would have for sure won the final. As for Mark he knew he was never going to win the final and he made a deal with Johnny like on Battle of the Sexes 2 with Theo, Dan, and Eric that they would split the money. Dang, I hadn’t heard that about Adam. I can see why folks might think its true given how close and easily swayed he seemed to be by Kenny, Wes, and Johnny. It just seemed like Mark gassed out in the dome. I remember that he (needlessly) threw a challenge on Battle of the Sexes 2 but he was very upfront about that. I guess I find it hard to believe that he wouldn’t admit it more openly if he did throw it. Wouldn’t surprise me in the slightest if Adam threw it, the amount of times he would fall going up to put the last ball in was so ridiculous, it’s almost like he was doing it on purpose even after CT was picking him up. He did make it believable though. When Johnny tells people they need to earn their stripes I always thought it meant winning eliminations which he’s only done twice on this list. Earning your stripes means you’re doing something to make yourself worthy of a certain position. Typically it’s a term used in the military, but Johnny uses it to reefer to someone who is established as a veteran/ top dog on The Challenge. Key West was my all time favorite Real World season (Also Austin) so i’ve been rooting for him ever since The Duel. I think it’s time for Johnny to send Jordan home. Johnny did not make it to the finals as a rookie. His first challenge was the duel and he got beaten by Tyler in the first episode. I don’t think you could say he beat C.T. in that elimination. C.T. pulled his weight in it and got all his balls done. Adam was the one who kept grabbing the wrong ones and falling, he even said it was his fualt.